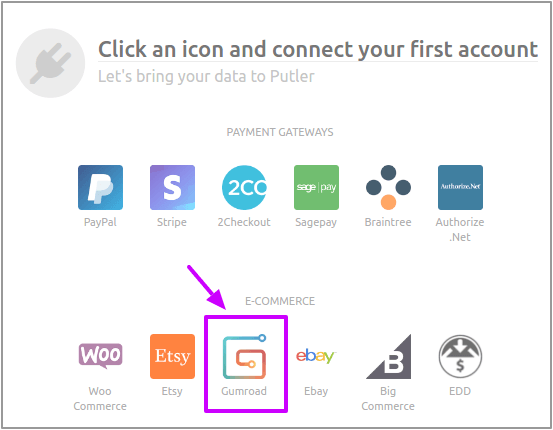 Putler is the only analytics solution that integrates with Gumroad and brings up insights for your business. 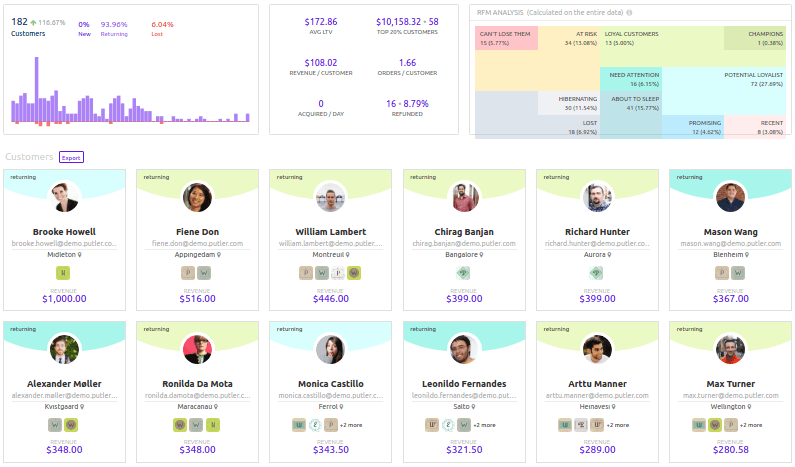 Why you need comprehensive reports for your Gumroad store? 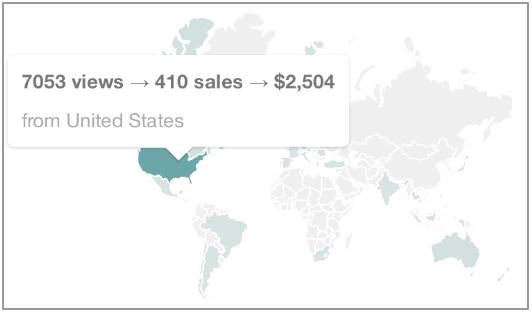 The basic Gumroad analytics gives you an overview of your sales. But if you want to grow your sales and beat the competition, you need insights about your products, customers, your website visitors and lot more. That where Putler comes into play. Putler pulls in your Gumroad stores data, processes it and gives you reports on all these factors. It provides you KPI’s that help you takekey business decisions. Putler also helps you understand and know your customers better. 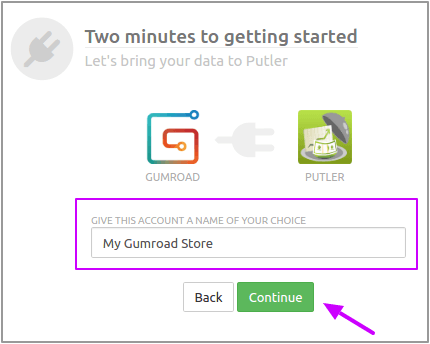 Is Putler the best Gumroad analytics tool? Gumroad is a great platform to sell digital and physical goods directly to your audiences. Especially for musicians, artists, filmmakers, writers, software developers… who want to sell their creations without efforts, Gumroad is your go-to platform. 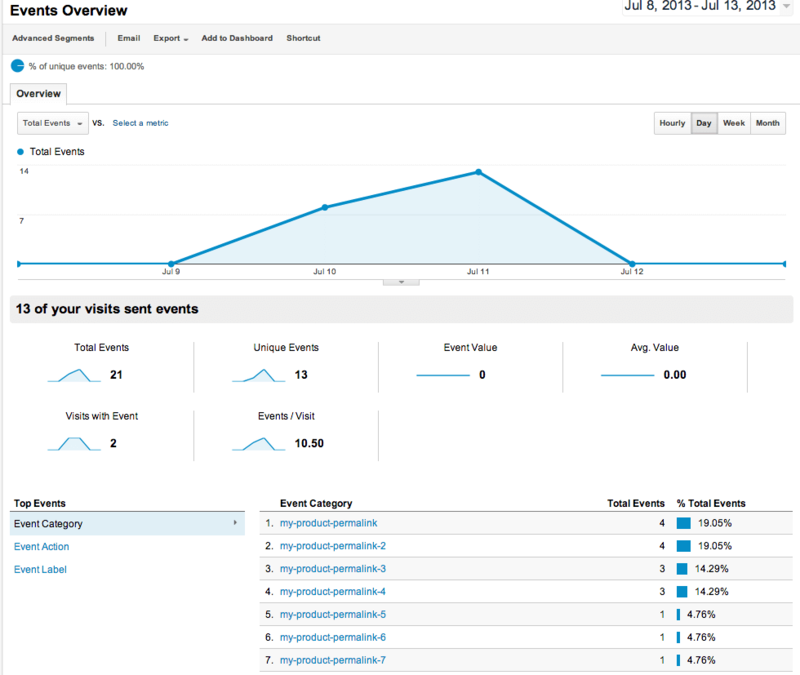 Gumroad Analytics – What’s included? 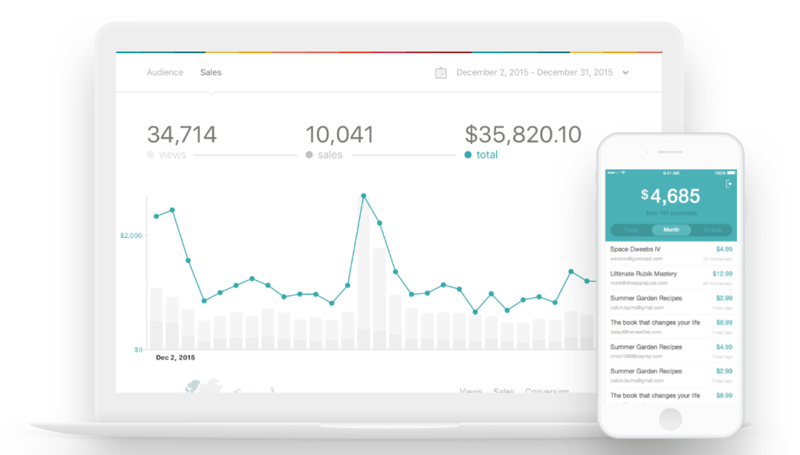 Gumroad analytics gives you just an overview of your sales and audience. There’s no in-depth analytics and reports which you need to grow your business. However, they have done a great job in setting up conversion events for Google Analytics, Facebook Pixel, Twitter ads & Google Adwords. But again, you will see only the sales and conversion rate for the products. This will show you the total sales you made, total product views, the quantity of product sold for a selected date range. By default, you get an overview of all of your Gumroad products at a glance. To view the sales of a particular product (or group of product), you can select the products you’d like to view by clicking on the link next to the revenue total labeled ‘All products’. This will show the approximate location of your customers on the world map based on the IP of the purchase. More the sales from a country, the darker it will be shown in green. You can hover over any country to view the number of product views and the absolute sales amount in dollars from that country. 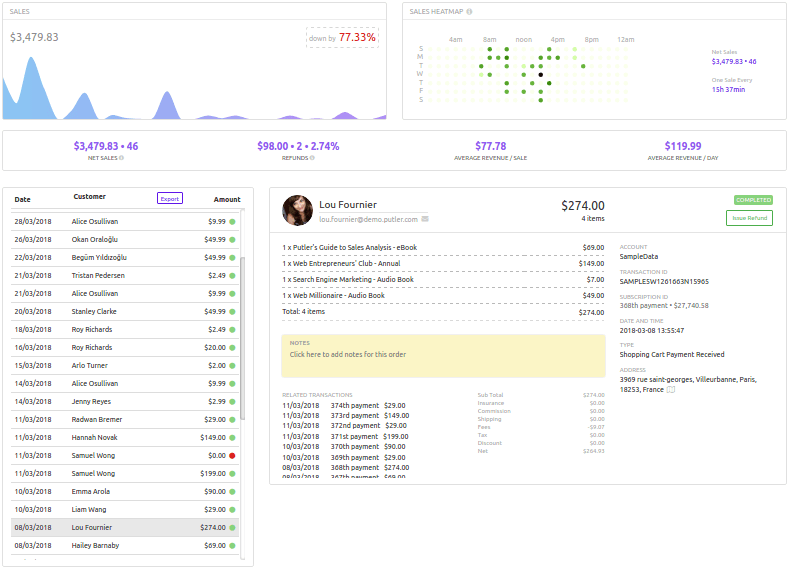 The Referrers dashboard shows all referrers to the selected product. The number of views, purchases and conversion percentage, as well as the absolute dollar amount of sales for each referrer, are shown. 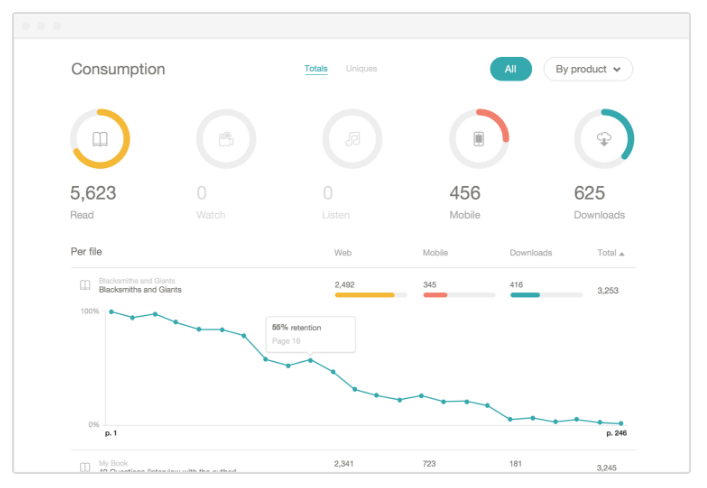 Gumroad’s consumption analytics dashboard helps you know your audience better, and learn how they are interacting with your content. You can track how many people have read your book, the number of times a video file has been opened, the number of times people listened to an audio file, total number of downloads, etc. For each product, you can view the customer flow – the number of views, number of clicks and number of purchases in Google Analytics. 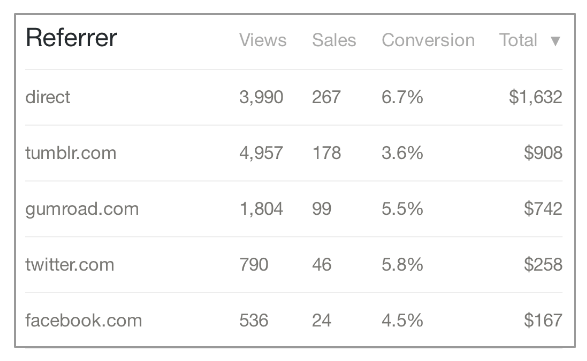 Similarly, for Facebook Pixel, Twitter ad and Google Adwords, you can view sales conversion. This helps you monitor how much each of these ad campaigns is contributing to revenue. What’s missing ..and why you should worry? As mentioned earlier, this is just an overview of your business. You need a lot more insights and analytics to understand your sales performance, product performance and your customers. Who are your most profitable customers? What is the monetary power of every customer? Where does a customer reside? What are his contact details, social media profile details? Note – Without knowing your customers, you can’t improve your marketing efforts and grow your sales. Which products are your top sellers? Which products are not selling? Who are the buyers of top products? What’s the revenue contribution of each product? etc.. Note – To grow your business, you need to understand your product behaviour and target them accordingly to customers. This will help you to increase your product outreach to ideal customers. You need to know sales heatmap, net sales, refunds, transaction quick-list, transactions search, etc. All these key metrics are present within Putler. And if you connect your Gumroad stores data to Putler you can view all this information within minutes. Hence, you need a solution like Putler that gives you in-depth analytics, reports and actionable insights for your Gumroad products. You need a solution that helps you to monitor and grow your business in the right direction. Is Putler the best analytics tool for Gumroad? Be it digital or physical goods, Putler has got you covered up. What is the performance of each product you sell on Gumroad – whether it’s sales performance is up or down, how much do you sell per day, which product is trending up, which product is falling, etc. all you can view in Putler. Putler will tell you who are your best and worst customers. The lifetime value of the customer, customer that churns out, new vs returning customers, contact details, social media details, what products they purchase etc. all covered up. Putler also gives you RFM analysis – a very important tool for tailored email marketing. You’ ll get to know how much each customer spend, when and how often using RFM. What is the best and worst time and day to sell products? How many orders do you receive per day? Your average revenue per user, revenue breakup – daily, monthly, yearly, etc. all available at your fingertips. Moreover, your entire transactions list, list export, etc. You can accurately combine multiple PayPal accounts, Stripe accounts and other payment gateways, shopping carts, currencies and even Google Analytics and fetch reports in a single dashboard. How much revenue will you earn in the coming months? How many customers will you gain/lose? Will you be able to 10x your business? Putler’s time machine will give you a linear forecast automatically for your Gumroad sales. No matter in how many different currencies you sell your products, Putler’s automatic currency conversion handles all of that and gives you a unified report. Type a few characters and Putler instantly brings up all related combinations for the searched term thus giving you the desired results you queried for. A collection of growth hacks, 10x ideas, actionable tips from experts and best resources all at one place. 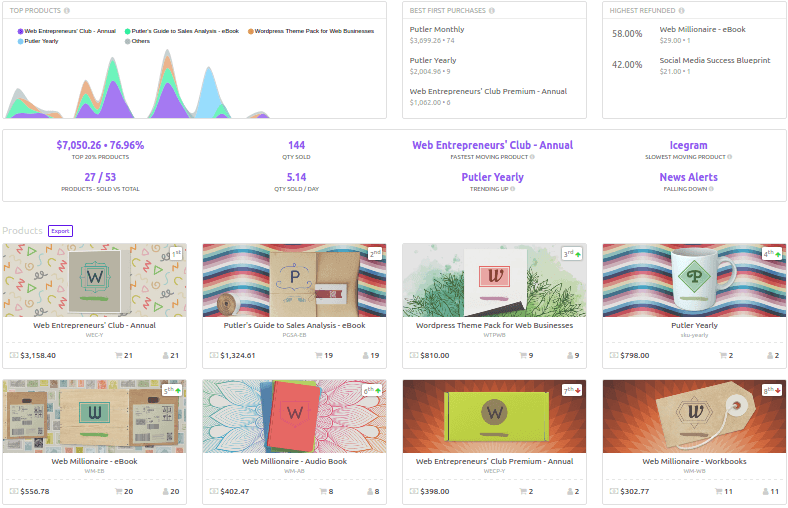 Putler is the perfect companion for anyone selling online using Gumroad. It will provide you the best analytics & metrics and insights to grow your business. Enter any field in the Account Name for your own reference and click on ‘Continue’. It will take you to ‘Gumroad login page’ where your need to enter your Gumroad credentials. Once you login, ‘Grant permission’ page will appear. That’s it. Within a few minutes, you would be able to see your Gumnroad insights in Putler. Gumroad reports are good for just an overview. Consumption analytics, event tracking feature is good to track product performance. But if you look at the big picture and future, you can’t rely simply on it for growing your business. 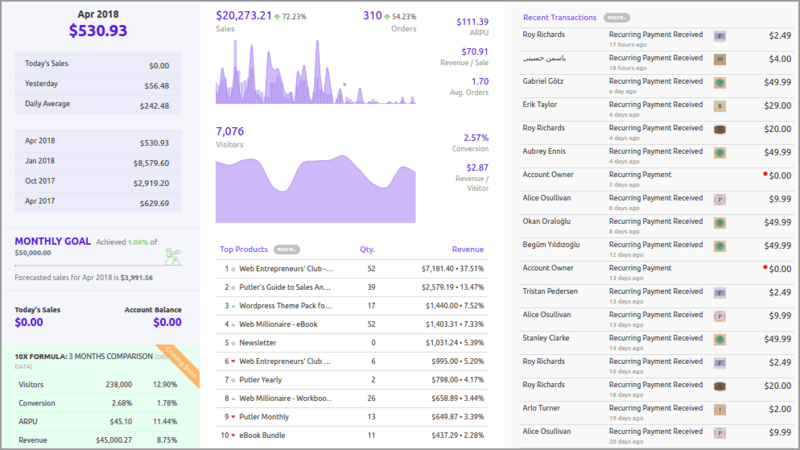 You need a complete reporting solution to keep a track on your Gumroad sales as well as monitor it with real-time data and insights is what you need. And for that, Putler is your trustworthy solution anytime.